On July 25, 2011 the Shermag Chanderic Michelle Convertible Fixed Rail Crib has had an expansion of May 2011 Product Recall. This recall involves the Chanderic Michelle Convertible fixed rail crib available in walnut or white. This recall also includes all product replacement distributed to consumers between May 2011 and July 2011. 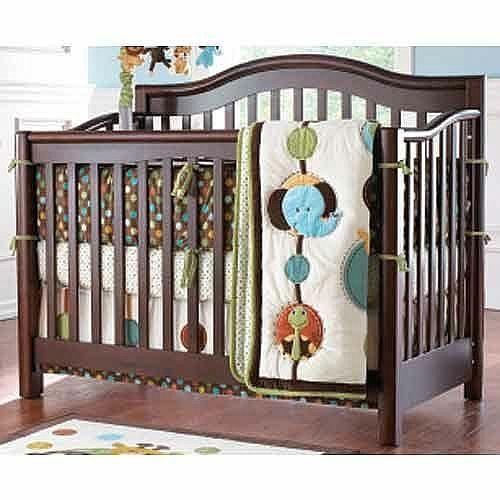 The crib name, model number, and "Shermag Inc" can be found on the assembly instruction sheet that is attached to the crib's mattress support board, as well as at the bottom of the crib's headboard. The crib's wooden slats can splinter or crack which can pose a laceration hazard to infants and toddlers. In addition, the crib's wooden slats can break which can pose a strangulation, entrapment and fall hazard to infants and toddlers. Health Canada is aware of two complaints related to the Shermag Chanderic Michelle Convertible Collection cribs. No injuries have been reported. You should carefully examine the crib for any signs of damage. If you determine that the slats are broken, loose, cracked, or splintering or that there are any other reasons for concern, you should immediately stop using the recalled crib and find an alternative safe sleeping environment for your baby. You should immediately contact Shermag Inc. for a free product replacement or reimbursement. For more information, consumers may contact Shermag Inc. at 1-800-567-3419, from Monday to Friday between 9 a.m. and 5 p.m.PM ET. Approximately 8,836 units of the affected cribs were sold exclusively at Toys'R US Canada nationwide. The affected cribs were sold from December 2009 to July 2011. These cribs were manufactured in China. The manufacturer is Shermag Inc. of Sherbrooke, Quebec.